Dayco recommends that workshops endeavouring to provide the motorist with a high standard of service and repair must make sure that they regularly check the condition of all multi-rib auxiliary belts and replace them when the signs of wear become visible. However, what are the signs and how can the degree of wear be judged accurately to ensure that a worn belt is replaced, but a serviceable belt is not replaced unnecessarily? Historically, multi-rib belts were made from neoprene compound, had a service life of between 50,000 to 80,000 miles and the signs of wear were generally obvious in the form of cracking, chunking (small sections of the belt break off), glazing or splitting. Today’s belts in contrast are made of extended-life rubber compound (EPDM), have a service life of around 100,000 miles and the wear signs are more difficult to detect as these belts tend to wear through material loss, in the same way as a tyre. As a result, the ‘V’ profiles of the ribs on the belt begin to wear down and start to resemble a ‘U’ and not a ‘V’. 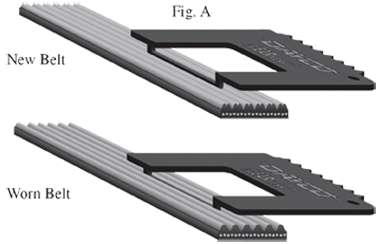 As the profile changes, the contact area of the belt on the pulley is reduced and the efficiency of the belt drops, which can lead to slippage and affect the performance of the belt, as well make it very noisy. 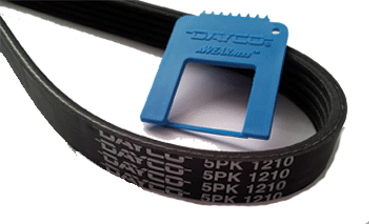 In order for workshops to quickly and accurately measure the wear of these belts, Dayco has produced an easy-to-use tool that makes the process extremely straightforward. 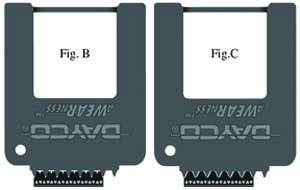 The Dayco ‘a-WEAR-ness gauge’ is a small but robust plastic tool that allows the technician to perform three visual checks that will clearly reveal the condition of the belt. The final check for cracks allows the technician to view the ribs through a 25mm square ‘window’. 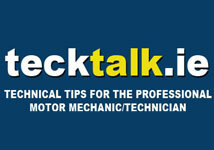 If four or more cracks are visible through the window, then the belt must be replaced before failure occurs. The condition of the auxiliary belt should not be overlooked, particularly as they tend to drive more components on a modern vehicle and the environment in which they operate is very hot and can contain harmful contaminates. Although auxiliary belt failure is not usually as catastrophic as the failure of a timing belt, it will nonetheless stop the vehicle and necessitate its recovery. Therefore Dayco also recommends that the regular inspection of all drive belts be mandatory after the vehicle has reached 75,000 miles and that whenever the timing belt is replaced, the auxiliary belt is careful checked and if necessary replaced alongside the fitting of a new timing belt kit.